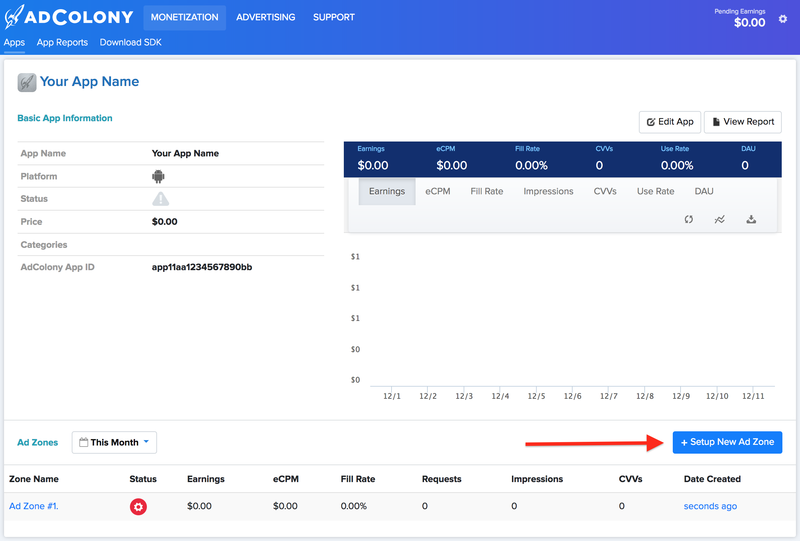 This guide is intended for publishers who want to use the Google Mobile Ads SDK to load and display ads from AdColony via mediation. 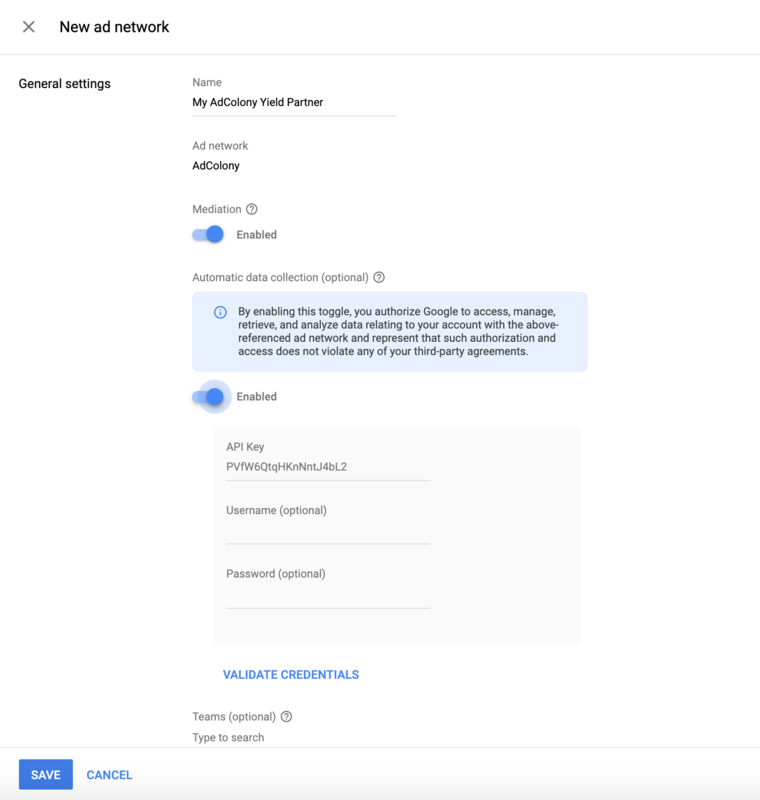 It covers how to add AdColony to an ad unit's mediation configuration, how to set up Automatic data collection, and how to integrate the AdColony SDK and adapter into an Android app. 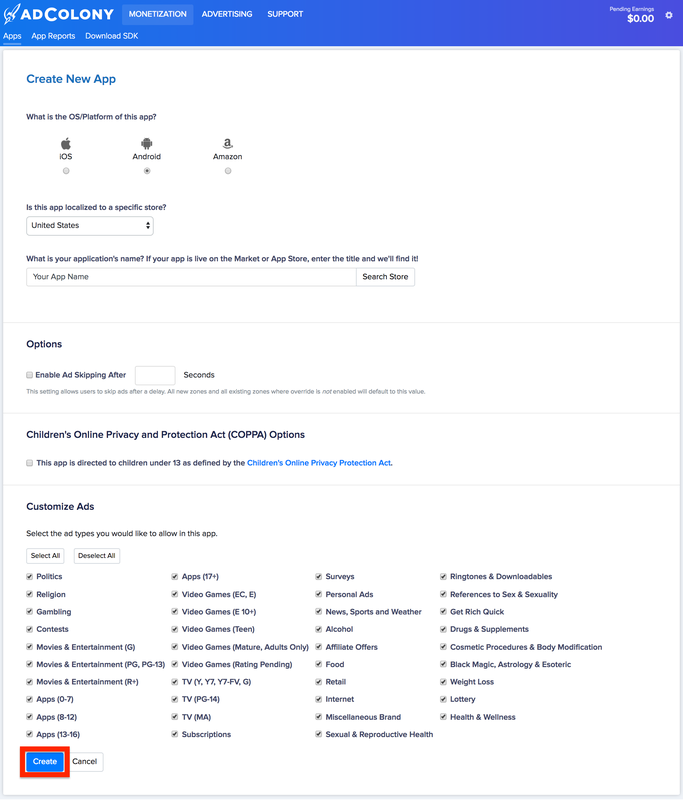 Next, create a new Ad Zone by clicking the Setup New Ad Zone button in the Ad Zones section of your App's page. We recommend creating a new Ad Zone for mediation with Ad Manager even if you already have one. 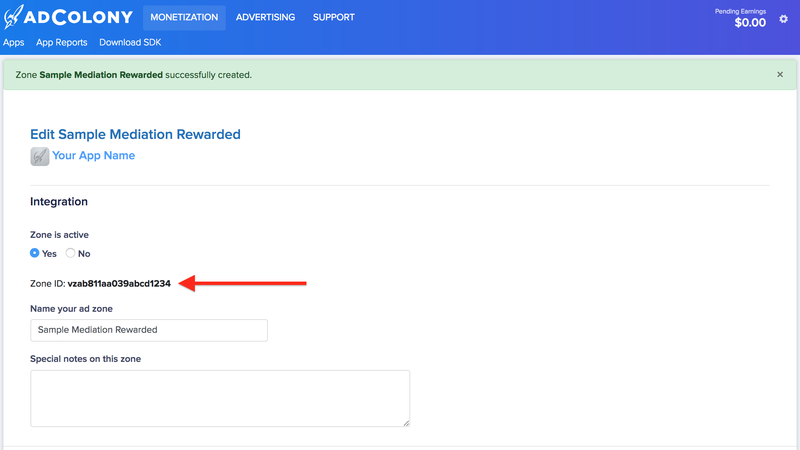 Note: The reward value specified here is forwarded by the adapter unless reward values are overridden on the Ad Manager UI. See the Using Rewarded Video Ads section of this guide for more details. 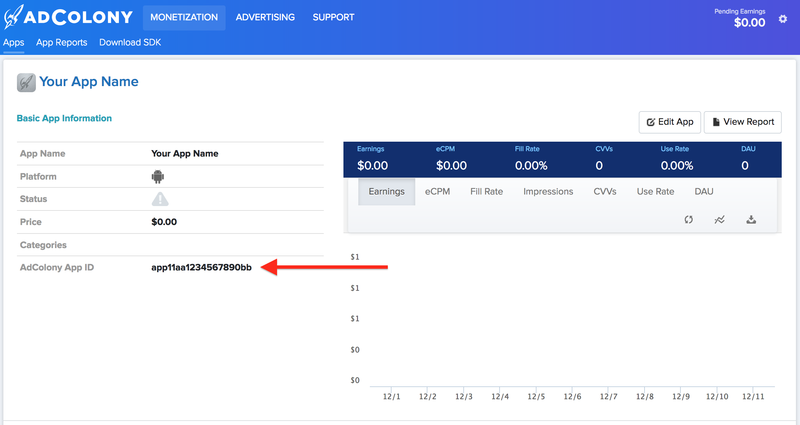 In addition to the App ID and the Zone ID you will also need your AdColony API Key for setting up your Ad Manager Ad Unit ID. Navigate to Account Settings in your AdColony publisher dashboard to locate your API Key. Sign in to your Google Ad Manager account. Navigate to Delivery > Yield Groups and click the Create Yield Group button. Next, click the Add Another Yield Partner button. 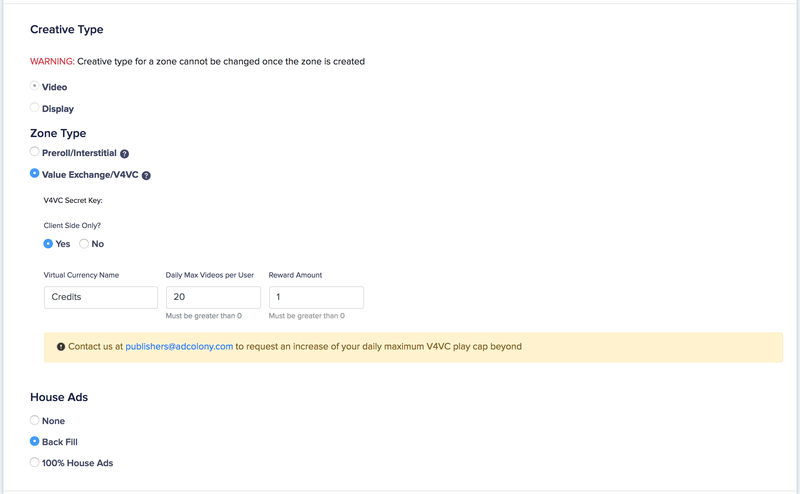 If you already have a Yield Partner for AdColony, you can simply select it. Otherwise, select Create a new Yield Partner. Select AdColony as the Yield partner and enter a unique Name. Check the checkbox for Enable automatic data collection of estimated CPM to optimize Mediation to enable ANO, and enter the API Key obtained in the previous section. No need to enter a username and password. API key is all that's required. Click Save when done. Once the Yield partner is chosen, select Mobile SDK mediation as the Integration type and Android as the Operating system. Enter the App ID and Zone ID obtained in the previous section. Enter a Default CPM value.